Just had to pop in because I am so exited! 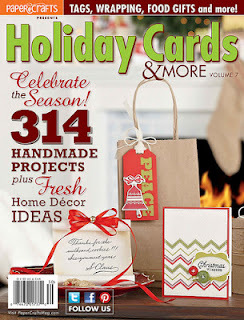 I won a copy of this new magazine on Julie Campbell's blog. Now I love Julie whether or not I win something on her blog....but tonight I think I love her just a little more!! special issue from Paper Crafts Magazine! Julie, this is totally inspiring! Love it. Can't wait to get my new magazine. WOO HOOOOOO!